I found myself back in the little town of Ottawa, Illinois again this year with a bunch of friends. As we reviewed options in the city, I thought the safest bet, given my bad experience with Thai in this city last year, was Mexican. 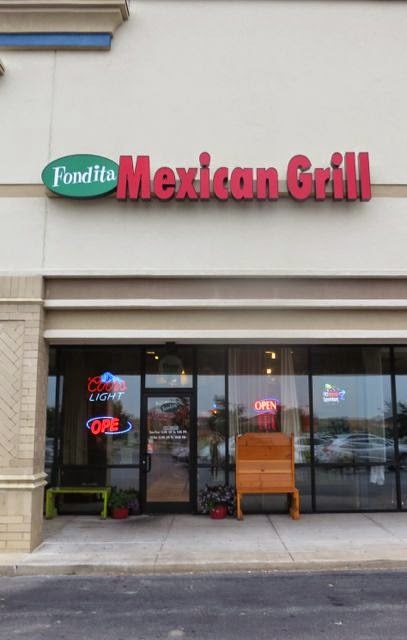 So we headed over to La Fondita Mexican Grill. Located in a strip mall, this unassuming casual restaurant offered good, old-fashioned Mexican fun. What is Mexican fun? That would be watching your friends consume massive amounts of margaritas before your eyes. Yes, kids -- it is possible for someone to consume 100 ounces of margaritas and live through it as I've now born witness to this. It was pretty spectacular. When we walked in, there were just a few booths occupied. They rearranged the tables to bring a bunch together to accommodate our large party that had no reservation. This city is much easier to get a table in than DC! It is a very small restaurant with loud colors of green, orange, and red on the walls. The tables were cheap wood and the chairs were your standard vinyl seats. All around the dining room, the message was "drink more" with banners of Corona and Miller Lite across the ceiling and bottles of tequila in the back. 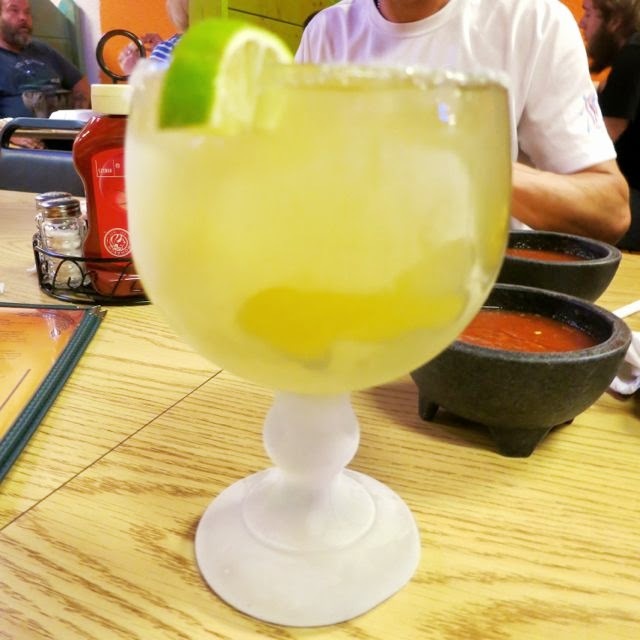 I ordered a regular sized margarita while some of my friends started with the Monster-size. Goodness gracious. 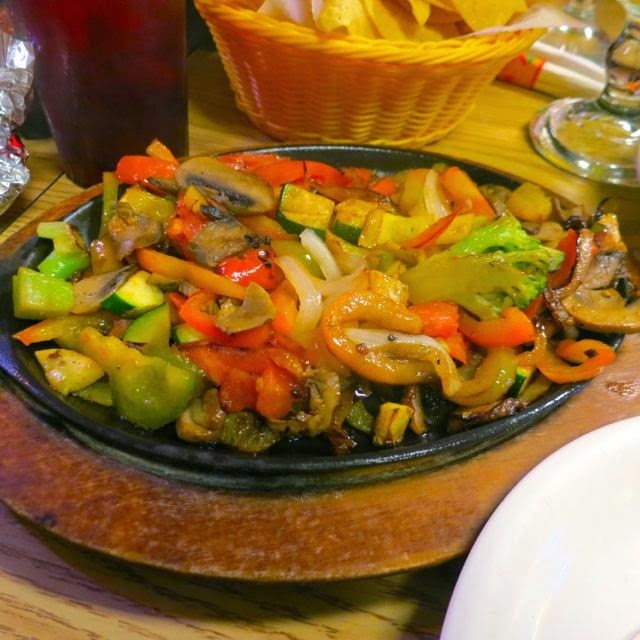 As I never really know what to trust in Mexican restaurants, I usually just go with the Mexican fajitas. I ask the questions I need to: Is the rice cooked with chicken stock? ; Are the beans made with lard? ; Are the vegetables cooked in butter? ; etc. Then, I enjoy the chips and salsa as I wait, which were, by the way, exceptionally good. The veggies came out steaming on a cast iron skillet as they usually do in most restaurants. There were bell peppers, mushrooms, broccoli, zucchini, onions, and squash in a LOT of oil. It was way too oily for me. 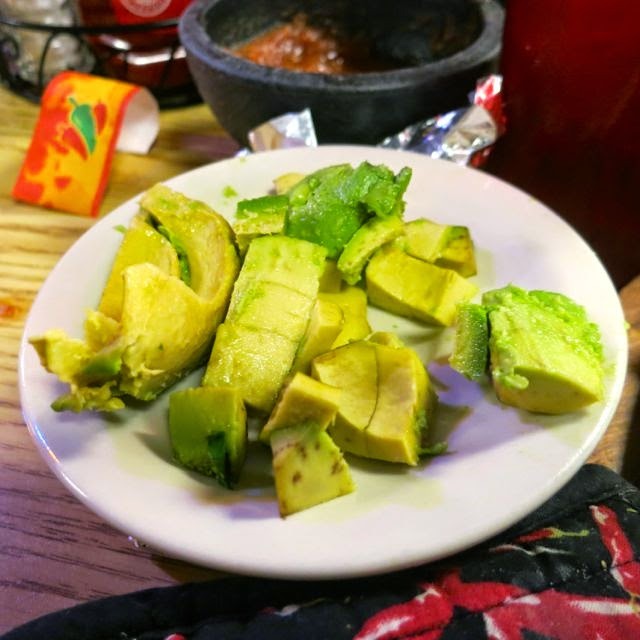 As I told them no sour cream and cheese, they instead offered me fresh avocado. Yes, I will take that instead! 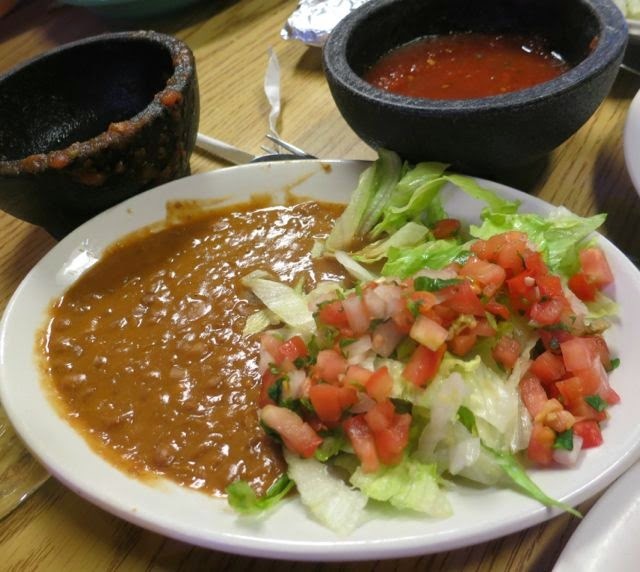 There were refried beans without lard, lettuce, tomato, and salsa as toppings. It wasn't anything to write home about, but it was food in a city where vegan options are scarce. The servers were very attentive, helpful, and nice. Luckily there were enough of us that did not drink excessively to chauffeur those who did. My friends who consumed nearly 100 ounces of margaritas cite the picture I took of them starting on ounce number 50 is the last thing they remembered from that night. Margaritas make everything better. So, in the end, the servers were great and attentive, the food was oily, but edible, the price of $9 for my meal was incredibly inexpensive, and the chips and salsa were very good. I'd come back here in a heartbeat.